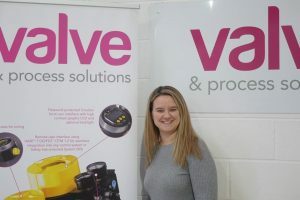 Sales and Marketing Assistant Kim joined VPS in September 2017, adding Marketing to her responsibilities in February 2018. In a 16 year corporate career before VPS Kim worked as a business analyst, identifying areas for improvement to processes at Auto Windscreens. PRINCE 2 qualified-Kim loves her process maps and milestones and helps to keep us on the right path. Planning, testing and measuring the impact of marketing activity has been a natural extension to her skill set, “Steve felt my analytics and process skills would be a good fit to support our marketing work,” she says. Born and bred in Chesterfield, Kim, 36, lives with husband Phil, daughters Maisie (8) and Isla (2) and labrador Otis. Kim volunteers at Chesterfield’s Whittington Hub Youth Club, which caters for youngsters (infants and juniors) with plenty of fun indoor and outdoor activities. “We’re always looking for new helpers,” she says. “I’ve also just joined the committee for the Friends of Brearley Park, our local community park. This August we organised a Whittington Hub ‘beside the seaside’ community fun day. We should have asked whether Kim’s cake decorating involves a process map or a Gantt Chart.